Browse Yun Kouga Gallery: Recent | Popular. I tend to draw in a lot of lined notebooks, or in my school planner; nothing serious, but they turn out okay. I absolutely adore how you made her hair and bangs more realistic; c'est tres beau! It's very beautiful! The only issue some may have about this is how the skirt isn't ruffled-however, your drawing, your artistic licence-and what a wonderful job you've done with it! Realy adorable wallie ~ nice bright and this paper idea and textures are nice too. she looks so fragile....love it! Awsome Wall! 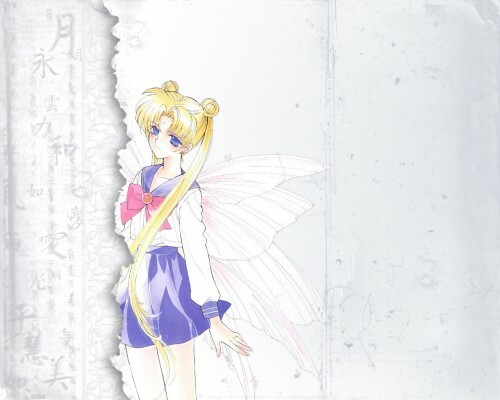 Usagi looks so beautiful and fragile in this wallpaper! +FAV :) Great work! 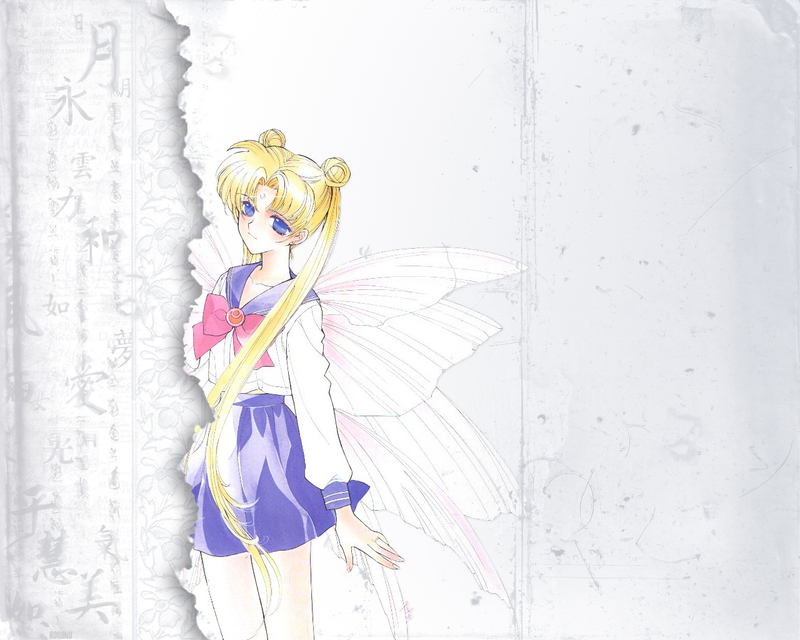 Beautiful wallpaper, that tear was good idea! I like expressive colors so for me it's a little bit too pale but still very good!